We now have a very good selection of Culinary Concepts products. In a short space of time Culinary Concepts have established itself as one of the UK’s most exiting names in contemporary design. Culinary Concepts has acquired a reputation as a leading supplier of quality cutlery and tableware, at the leading edge of contemporary dining. Culinary Concepts design, develop and manufacture high quality, innovative stainless steel and silver plated tableware, gifts and home accessories. 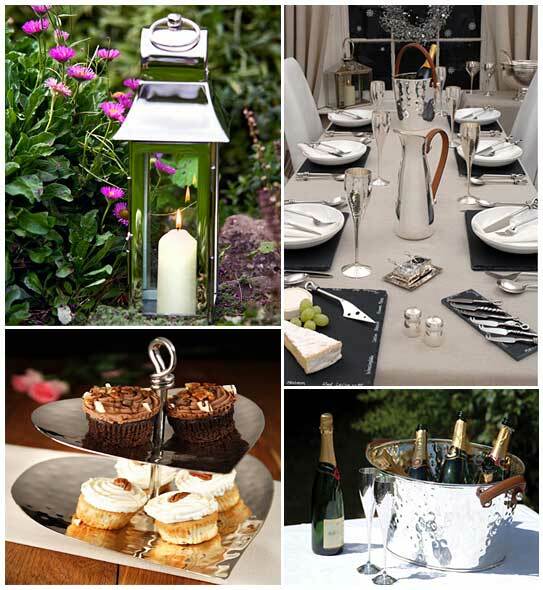 We have a wide range of products - from Champagne flutes to lanterns. Culinary Concepts applies a modern interpretation, creating contemporary gifts in stylish packaging, which have their own individual identity and practicality. Pop into our shop to see the new exiting range we have in stock. These unique products are ideal as Wedding, Anniversary, Birthday or even Christening Presents.